Hosted by Duke University and developed by Whirl-i-Gig Inc., MorphoSource is a project-based data archive that allows researchers to store and organize, share, and distribute their own 3d data. Furthermore any registered user can immediately search for and download 3d morphological data sets that have been made accessible through the consent of data authors. The goal of MorphoSource is to provide rapid access to as many researchers as possible, large numbers of raw microCt data and surface meshes representing vouchered specimens. Duke MICRO-CT Facility The Nikon XT H 225 ST micro x-ray computed tomography scanner (XRCT, µCT or MicroCT) produces high resolution (micrometer scale), 3D and 2D images of a sample’s interior and exterior by projecting a x-ray beam through a sample and observing the sample's interaction with the beam via a radiographic/x-ray image. The machine is used by the Boyer lab to generate imagery of fossil and extant collections that are posted to MorphoSource. All SMIF instruments are accessible to external (non-duke) users. See the SMIF website for details. 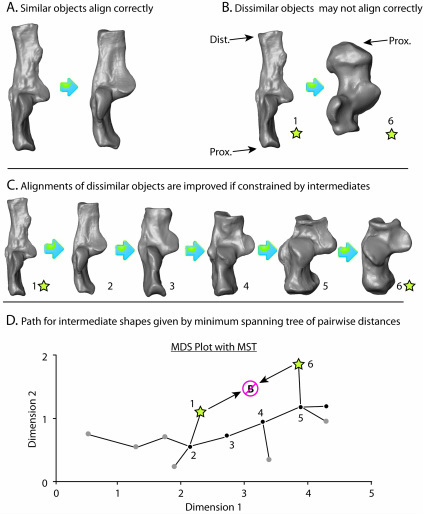 An R package (auto3dgm) and supporting R functions (alignFix.R) are provided here for automatic alignment of 3D mesh bone models. See Boyer et al. (in press) for supporting information. Versions of auto3dgm will eventually be accessible from CRAN. *Development supported in part by NSF BCS 1317525 and BCS 1304045.